We are going back in time for this one, the year was 2004 and Hideo Kojima and Konami had put out their third installment to the Metal Gear Solid series, seven and a half years later and it is still in the top ten list of PlayStation 2 games on GameFAQs. Though I had previously attempted to get into the MGS games a couple of times, but what can I say, I was young, dumb, and hooked on Tony Hawk titles. 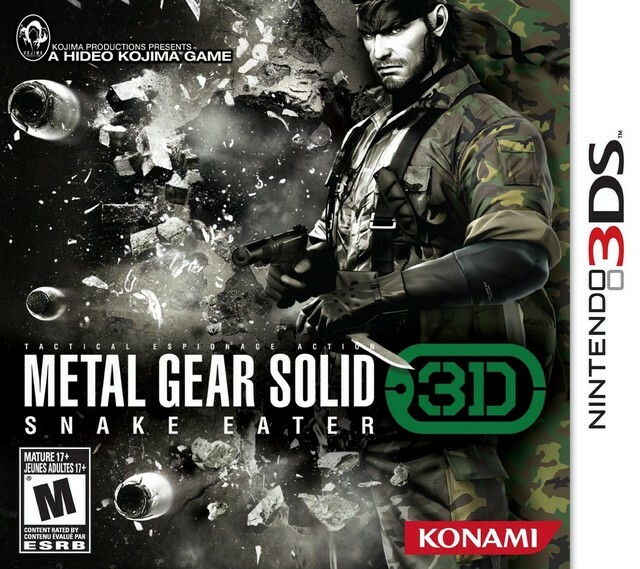 Now that I am older and wiser, I immediately jumped at the opportunity to review this staple in gaming in 3D nonetheless. The premise is simple and something that can be related to as if makes reference to a number of actual events, such as the Cold War and Cuban Missile Crisis, but the events just lay the groundwork for what is to come. 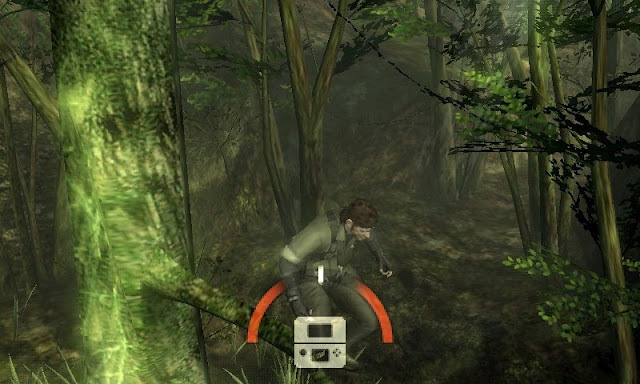 In case you did not play the first time, there is a scientist, Sokolov, that the US helped out of Russia, but end up giving him back in order to bring peace between the two countries, but the US catches wind of what Sokolov is working on and now it is back to capturing the scientists before a new age of fear is born, by using one soldier with a lot of support via radio. I am happy I decided to go back and give the series a chance now that I have a longer attention span, albeit starting on the third title, but the 3D was calling to me, and it was a good reason to put the Vita down for a while. I will get this out of the way first, but the game looks amazing and has a great story to go with the visuals. Story is what the Metal Gear Solid games are all about, I may not have gotten into the series, but I wasn’t oblivious to them either. 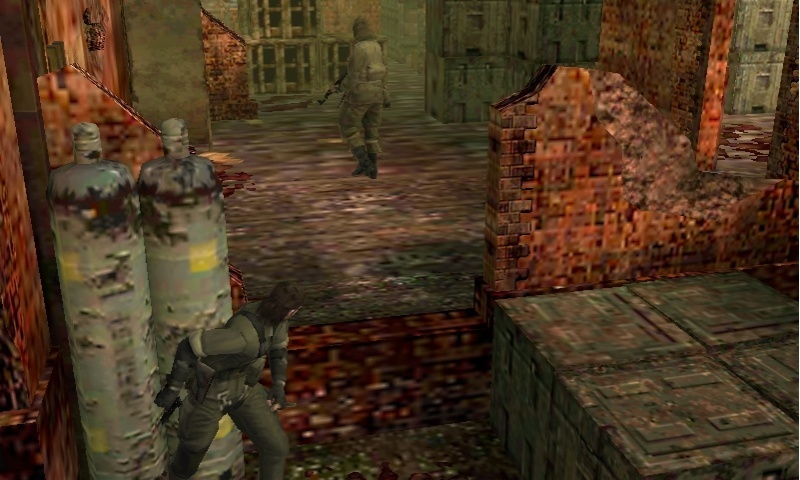 Though the story hasn’t changed in the past eight years, it does say something when it is still incredibly strong, better than many current games for a game closing in on being a decade old. I found this little change interesting, but instead of finding and shooting Kerotans throughout the games, they have been replaced with Yoshi's, I mean who doesn't like Yoshi, and those that do hate, you get to shoot Yoshi. A photo camo system is also new to the handheld port, which uses the 3DS' camera to take a photo of essentially whatever you want, then use that image to make a camo skin for Naked Snake, and depending on the image, you will get an advantage in certain elements. Lastly, and I feel this helped with item management significantly, but you are able to equip items and access the menu through the bottom touch screen. Here is where I think I may have enjoyed the console version more, as the controls are a bit of hindrance without the twenty dollar circle pad pro peripheral. The game is playable without it as I am at the end of my first playthrough without using, but from speaking with other journalists, the addition of the second circle pad does help greatly. 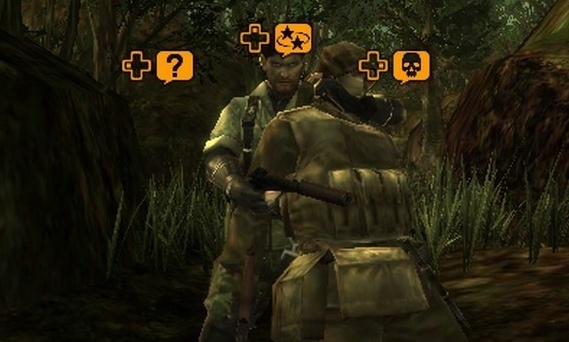 Secondly, there are a lot of cutscenes, anyone that has played a Metal Gear Solid title will know this, but those long cut scenes on a portable device makes picking up and playing on the go a bit more difficult as you will likely be interrupting your viewing experience with the daily grind. These were the only two issues in which I found on my playthrough and can be easily resolved with good time management and either learning and practicing the controls or dishing out twenty dollars for the additional peripheral. 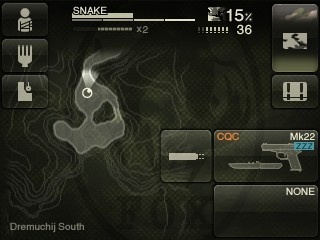 I had a lot of fun with Snake Eater and plan on doing another less violent playthrough on a search for all the Yoshi's. Aside from the issues with my time management and lack of the second circle pad, I quickly forgot about these quips after about my fifth hour of gameplay. This is a great title for both newcomers and diehard fans alike, and may possibly be one of my favorite titles for the 3DS with exception to Street Fighter IV and Mario Kart, as the story alone is emotional and engrossing while adapting to decisions made. Mass Effect 3 Demo out now!